Wound healing has two phases: the proliferation phase, when the wound is thickened by the growth of the new tissue, and the remodeling phase, where the excess tissue and the scar are absorbed will ideally disappear, whether it be an accident or a surgical procedure. Immediately after the injury, the role of coagulation (blood clotting) and the immune system plays . Macrophages that consume dust and infectious particles penetrate the site of damage. Particles of larger dimensions purge pus, the bulk of which forms antibodies and DNA of dead leukocytes. The scar at healing always arises. However, it must not always be visible. Even internal injuries (muscles, tendons, intestines, and even liver) are healed fibrotically - ie by scarring. Fractures result in bone marrow, which is actually a scar. Fibrotic tissue strengthens an injured site that will always be somewhat stronger than the surrounding area. Finally, nerve regeneration occurs in healing. The blood supply often decides how the wound will heal. After the injury, there are parts of the tissue suffering from oxygen deficiency (ischemia). Oxygen diffusion into cut-off areas is no longer than 1-2mm. That's why it is crucial how new capillaries and vessels grow into the problem area. They respond remarkably quickly to the lack of oxygen. (This is why tumors can grow - although the tumor is made up of degraded cells, the blood vessels that grow in them are completely normal, and they just do their duty of supply, sometimes the tumor gets over and divides faster than the blood vessels grow enough, inside the tumors, the necrotic deposits, which again notice the immune system ... But I turned to cancer again, I was asleep.) Therefore, it is important to ask what substances affect (accelerate or slow down) the growth of capillaries in the new tissue. You,which accelerate capillary growth, are important in healing. Those that block it may be helping against some tumors. Pearl: In the first few hours after injury, he is a blood supply specialista medical leech that has many miraculously cured patients with sewn fingers and helps with heart disease. From a theoretical point of view, the existence of each tissue is the resultant of two influences: wounded and healing. Burning influences represent the burden (mechanical, chemical, oxidative, radiation ...), healing, in turn, the natural regeneration capability. Under normal circumstances, healing influences are highly prevalent and the tissue remains healthy. However, the illness can prevail over wounds, and for no apparent reason a leg ulcer or other necrotic bearing is suddenly created, as is the case with diabetes and vascular diseases . In these conditions, a slight increase in the regenerative capacity of the organism may lead to complete healing. According to the Japanese study Kimura2012egr (mouse), ginsenoside Rb 1 is the most effective of the most studied panaxosides of ginseng right (Rb 1 , Rb 2 , Rc, Rd and Rg 1 ) in healing burns , mainly due to improved vascular regeneration . According to the same study, ginsenoside Rb 1 has already protected the skin from damage by UV radiation at very low doses. Ginsenoside ( Kimura2006egs ) and specifically ginsenoside Rb 1 ( Kawahira2008egr ) improve healing of the burns (mouse). Ginsenoside Rb 2 improved healing of damaged skin ( Choi2002epe ). In experimental 40% liver resection, ginseng increased the regeneration rate by 20% ( Kwon2003ekr ). Genuine Genesis is active in healing experiments with atopic dermatitis ( Lee2011ekr , Kim2011eta , Sohn2011ekr , Lee2011krg , Cho2013ekr ). Ginseng is by no means the only healing adaptogen. The German study, Wang2013wpf, studied the effect of several TCM on the model of survival and division of human keratocytes. The biggest healing effect of this study was found in the peony shrimp , a little less effective was ginseng notoginseng , Chinese gentian and Japanese honeysuckle . 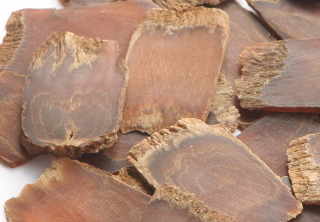 According Chen2013ain astragalosid IV Astragalus blanitého improved wound healing and scarring limited. The healing effect of antioxidant curcumin summarizes the overview of Tejada2016whe . The standard standard combination of herbs in the case of accidents has a TČM. To use them, visit the TCM practitioner. Other healing drugs are includedvrcholák tannic ( Bag2013dtc ) and Lithospermum officinale . Our traditional medicines are also effective: leaves and fruits of blackberry , without , dogwood and others, including all of us well-known cruel cabbage ( Rebolla2013ebo ). It is unclear to use the bacon , which is not completely safe internally. According to Tie2012glp, healing improves the healing of wounds and ulcers in diabetes also by glossy gloss .